It’s now a couple of years old, but I’ve just come across this article about modernisation work at Baghdad Central railway station. The caption says This 1914 engine, capable of traveling 25 miles per hour, is the oldest Iraqi railway steam locomotive. 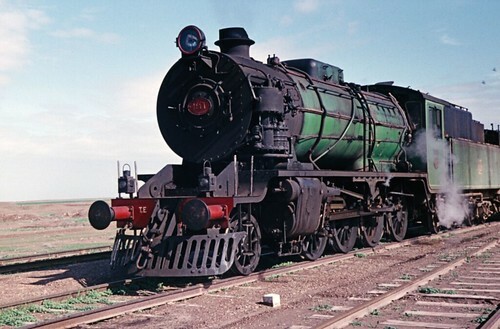 It was retired in 1951 and is on display at the Baghdad Central Station. 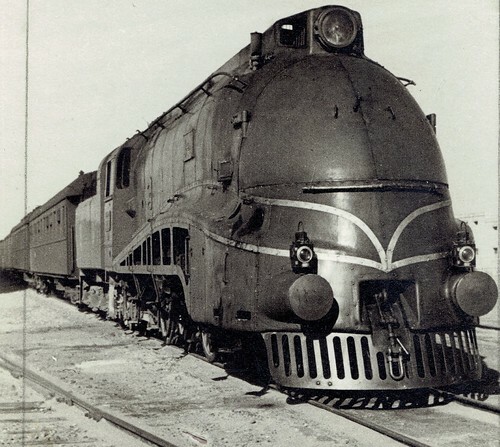 Assuming this is the same plinthed loco as the one shown in the book Middle East Railways by Hugh Hughes, it is Baghdad Railway no.405, built by Borsig of Berlin as works no.8480 of 1912. It was originally an 0-6-0T, no.5. BAGHDAD — Karem recalled using Iraqi trains when he was a youngster. Back then, the Baghdad Central Train Station was notorious for nonfunctioning restrooms and the foul odor of sewerage emanating from the basement. “But the trains themselves were always clean, comfortable and a great bargain,” the 33-year-old deputy resident engineer said. Now Karem is overseeing a project that will not only re-introduce train travel to Baghdad, but will make the train station far better than he remembered as a child. In addition, more passengers coming through the train stations could generate more jobs at nearby hotels, shops and businesses, he said. The $5.9 million project includes an all-new power plant and air conditioning system. “We have replaced all the electrical, water, and sewer lines. The roof and the plaster walls were replaced and the restaurant was rehabilitated,” Karem said. The windows were replaced, all of the clocks were replaced and connected to one central system, and the broken mosaic floor tiles were replaced. A new entrance was constructed. Two new seven-passenger elevators, new bathrooms and a hotel with 13 rooms were added along with a new fire alarm and sprinkler system. The train station was originally built by the British in 1954 and was considered the “Jewel of Baghdad” for travelers of the day. It offered telegraph services, a bank, a post office, shopping areas, a saloon and restaurant, and even had an office with printing presses which are still printing the train tickets. “The overall structure was in great shape and we tried not to alter its historical look, despite the many improvements. If something needed to be added, we tried to match the same architectural style,” Karem said. The project is nearing completion and Karem says a proposed $8 million maintenance facility for the locomotives and freight/passenger cars is now being considered. Major Robert Nash, the U.S. Army Corps of Engineers officer who worked with Karem on the project, said he’s proud of Karem and the other 35 Iraqis who work on the station. “Karem came here as a quality assurance representative, was promoted to project engineer, and is now one of our two Iraqi resident engineers,” he said. Although the number of trains being operated is limited, Nash is confident will regain the prominence it once had. He looks forward to the day when he can fly into Baghdad International Airport, take a cab to the train station, and travel to any point in Iraq safely, securely and comfortably. Dan in the Desert has some 2006 photos of the station, including one showing the steam engine. The Restoration & Archiving Trust‘s old colour photos of the standard gauge and now-defunct metre gauge railways in Iraq are now at a new address.